If pressured, Jesse England might have a tough time justifying the existence of his unique creation—known as the Universal Record. What looks like an extra-thick piece of vinyl is actually a Bluetooth adapter for record players. But instead of transmitting sound from a turntable through a wireless speaker, it allows sound to be transmitted and played through the turntable’s needle. 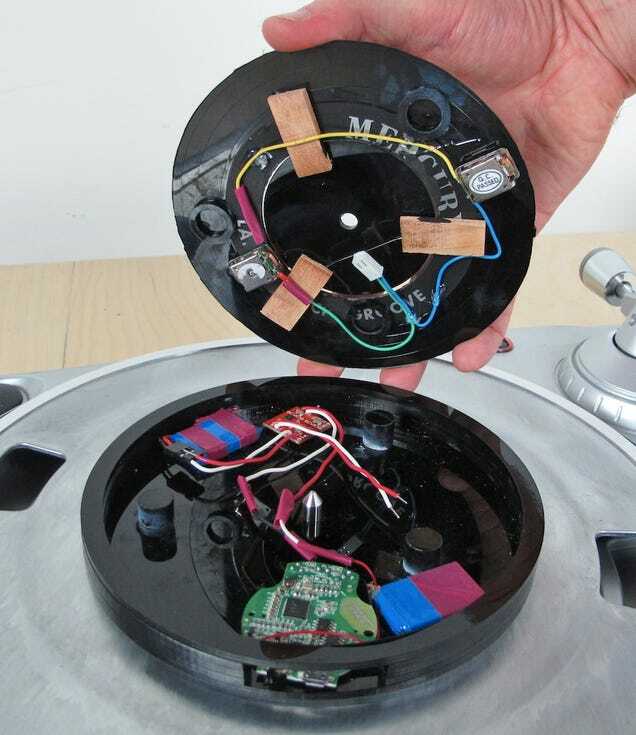 Inside the Universal Record, besides the wireless Bluetooth electronics, you’ll find an acoustic transducer that vibrates the vinyl disc on top when music is streamed through it. 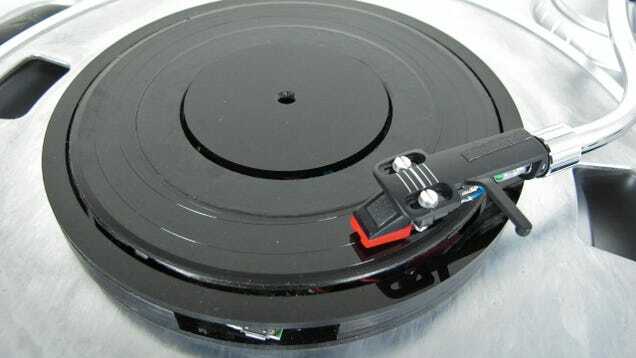 And when the cartridge from a record player is placed on this vibrating disc, those streamed sounds are then transferred to the needle and through the antiquated hardware.